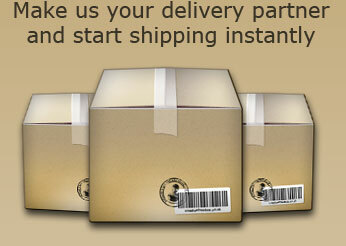 If you are sending 10 or more parcels per week, you are eligible for a Regular Sender account. If you’re sending a parcel to Singapore, it’s important to understand the culture and history of this fast-paced city state. Singapore was only a sleepy fishing village until the British arrived in 1819, but it quickly developed into one of the major trading ports of the world due to its ideal location between India and China. With the increase in business came waves of immigrants from different parts of Asia, turning the island into a bustling, multi-cultural trading hub. When Singapore became independent in 1965, there were fears that the small island would not be able to strike it out on its own due to its limited natural resources and tiny population. However, those fears proved unfounded. In the next 40 years, Singapore developed at an astonishing pace to transform into a cosmopolitan city comparable to New York, London and Shanghai. According to Singapore’s country profile on the BBC, it is one of the economic ‘tigers’ of Asia due to its extremely strong economy. This rapid speed of development has come with a strong cultural emphasis in Singapore on speed and punctuality. At Peleka, we share in these values too. We know that time is money, and money talks. Whoever you’re sending your parcel to, you can rest assured in the reliability of our parcel delivery service to any address in Singapore. We have developed a strong network of international parcel integrators who will ensure that your parcel arrives exactly when you need it. If you need to get it there quickly, we offer an express service. We also offer a tracking service so that you know where your parcel is on its entire journey to Singapore. You can rest easy when you send your parcel to Singapore with us because we take care of the little details so that you don’t have to. To find out more about Singapore, click here.